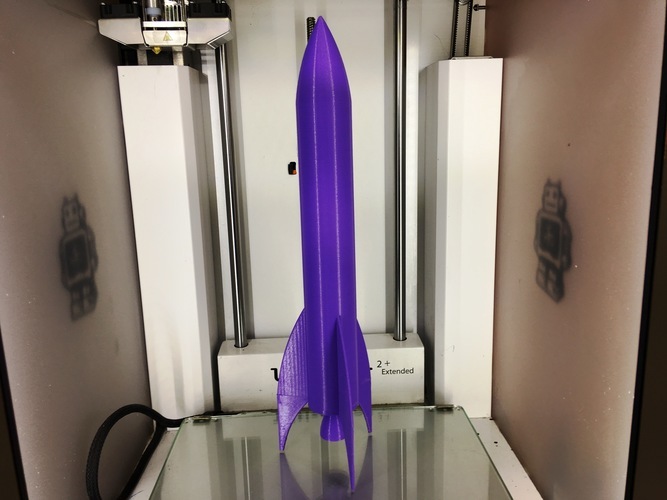 My grandson wanted a rocket and I could find no simple but cool looking rocket that a 3-year old would like. So I designed and printed one. It is in two parts: the main rocket and fins and the rocket nozzle and the bottom part of the fins. He loved it!